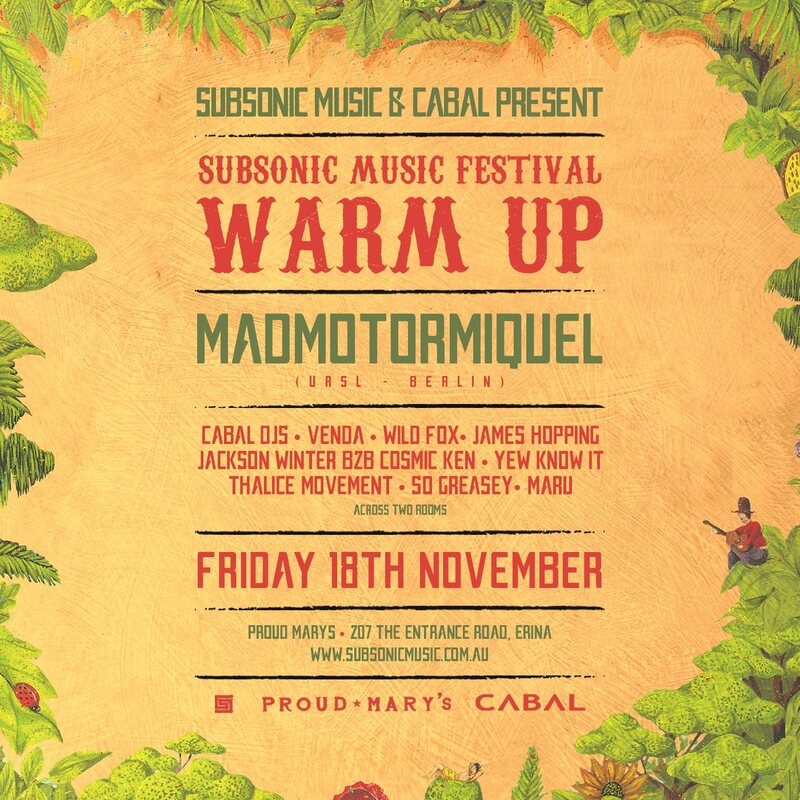 As we roll up our sleeves and journey up the coast to start building the Subsonic Music Festival site, we thought we would break the journey and stop off on the Central Coast and have a dance with our friends CABAL at Proud Marys, Erina. 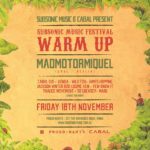 On Friday 18th November the Subsonic Music Festival train makes its last stop before reaching our final destination at Riverwood Downs, Barrington Tops in December. Join us for a night of revelry with Madmotormiquel (URSL) fresh off the boat from Berlin and ready to shake it with CABAL DJs. Also shaking their rhythm sticks on the night are Venda + Wild Fox + James Hopping + Jackson Winter b2b Cosmic Ken + Yew Know It + Thalice Movement + So Greasey + Maru. Grab yourself a pre-sale ticket for $10, they will $15 on the door on the night!